Psychedelic prints, gypsy necklaces, statement fringes, tribal prints, and an unapologetically free spirit. 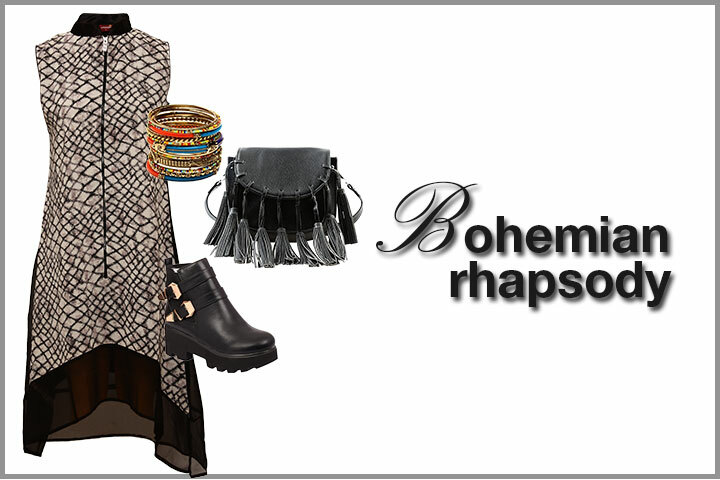 All you need to resemble a bohemian diva. We have the right ensembles to compliment your adventurous and unconventional personality. What would you like to create today? Are you sure you want to log out ?